Theme : Suspension – Only Fools & Horses? We have a look at the humble leaf spring and ask whether it deserves universal scorn. 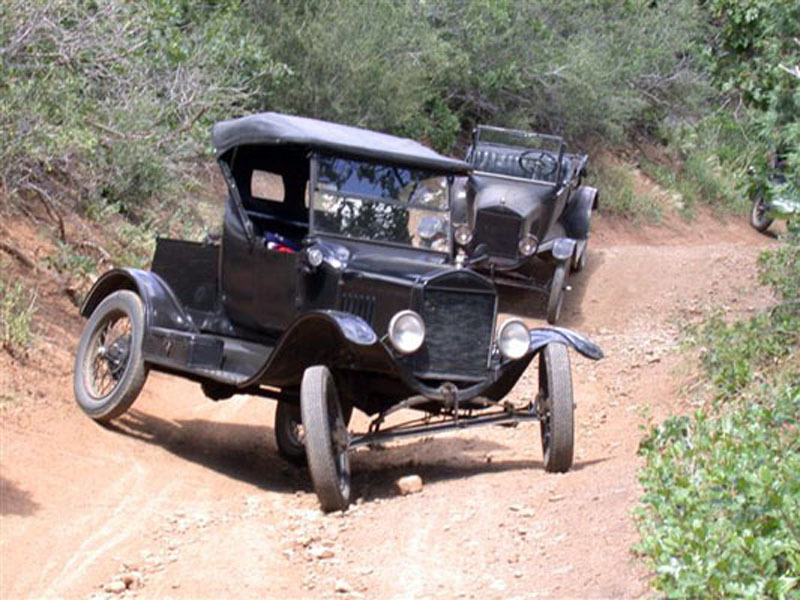 I’ve always been a suspension snob, especially on the subject of leaf springs, normally referred to by fellow scorners as cart-springs. And indeed, the use of something that you’d have found on a one horse power medieval cart on a 150mph Ferrari still seems as wrong to me today as it did when I was a picky kid and first realised what lurked under those exotic red bodies.. The first car I ever ‘owned’ was a Ford Prefect E93A that I used to drive as a 14 year old around a bit of woodland. Even at the 20 mph maximum it was possible to achieve weaving around all the trees, I still managed to turn it onto its side, a tribute to my recklessness, a high centre of gravity and its very, very basic suspension which stretched back to the Model T, comprising a beam axle at the front and a live axle at the rear, both mounted on transverse leaves. In its most basic form, as propagated by the penny pinching Henry Ford, the transverse leaf spring’s character resembles a blancmange (does anyone still eat blancmanges?) or a jelly. The outer ends are clamped to a solid axle and the car wobbles around fixed to the apex at the centre. When mounted longitudinally, the leaf spring’s basic character still resembles a blancmange, albeit an upturned one. The axle is clamped to the middle and allowed to twist and shift back and forth with every movement of the springs. Used this way, the semi-elliptic spring is allowed to contribute to the location of the suspension as well as its actual springiness. This is obviously a hugely compromised situation, which can only be addressed partially by the use of locating arms and, that staple of better-behaved live axles, the effective but aesthetically inelegant Panhard Rod. On first look, the suspension of the 1961 Lancia Flavia and 1963 Lancia Fulvia seems just a step forward from the Prefect’s, yet the latter was a car that won rallies. Of course the differences are huge. First of all, although employing a transverse spring, the front wheels are independent. This wasn’t the first time this system was used. 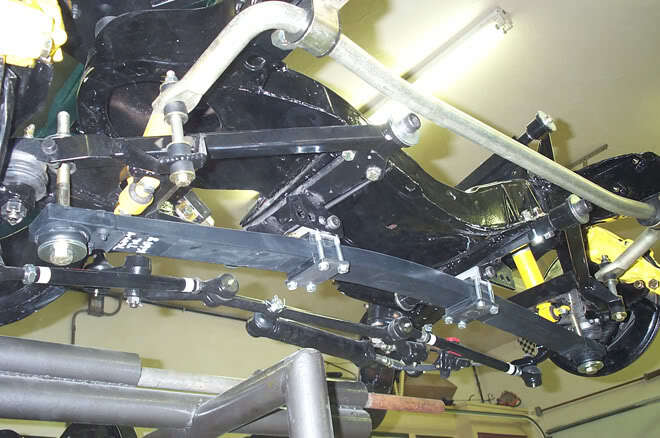 In the 1930s, Leslie Ballamy offered an independent front suspension conversion for Fords and other cars, by the rather simple means of cutting the beam axle in half and hinging it whilst retaining the transverse spring. Jean Bugatti also produced a prototype independent front for the Type 57 using a similar, but doubtless more sophisticated, solution, but his conservative father vetoed it. Dante Giacosa used a low mounted transverse leaf for the front suspension of his small rear-engined Fiats. I don’t believe that the prototype Bugatti still exists, the Fiat system worked well, but it was a very light car, and I’m certain that the resulting behaviour of the Ballamy system was nothing like as fine as that of the two Lancias. At the rear, the Lancia axle used two longitudinal springs, well-established practice with a solid axle on anything but the most basic car by then, even if it was a Ford, but as with the front, attention to the quality and location was all. The 1959 Triumph Herald had adopted a rather simple independent rear using a transverse spring and swing axles but, in 1963, the Chevrolet Corvette C2 went a step further, using a transverse leaf with a lower control arm and trailing rod independent rear end and, on the 1984 C4 Corvette, the previous conventional coil sprung independent front end was also replaced by a leaf spring arrangement to complement the rear, and GM have stuck with that arrangement to this day. Because of this, the Vette still seems to be viewed by the wilfully ignorant as a throwback to the arcane world of old Detroit iron, and is often dismissed with the kneejerk criticism of ‘still using cartsprings’. But this is a lazy and superficial comment, the way the Corvette’s transverse spring works is actually rather elegant. The centre section is firmly located to the frame, sitting discreetly below the wishbones, meaning that the two halves virtually work as two separate springs, just as two coils would. But the fact that they actually remain interconnected means that some stiffening is transmitted from one side to the other giving the leaf inherent anti-roll qualities. From 1981, the construction of the springs has been in a lightweight composite plastic which, combined with their position, means that the whole centre of mass of the suspension is kept low. The composite construction of a Corvette’s spring is undoubtedly more expensive than a couple of off-the shelf coils. Also, marketing must constantly rail at Chevrolet’s engineers every time they see pejorative references to leaf springs in reviews so, if the engineers resist, they must have good reason. Their main downside is being able to offer a range of adjustability. In fact, until the relatively recent advent of switchable settings, few people ever wanted or expected to be able to adjust the settings of their car’s springs for road use but, for racing, some people replace Corvette leaves with coil-over units, but this is no condemnation of the system. The Corvette is the most high-profile and longest duration user of this system, but isn’t alone. Volvo now use a composite transverse leaf on the rear of the current XC90, its obvious advantage being the lack of intrusive coil struts, so Chevrolet’s persistence might be vindicated. I do love the “cart springs” comments that the Corvette attracts, quite often from lazy European journos with copy to file and an axe to grind. 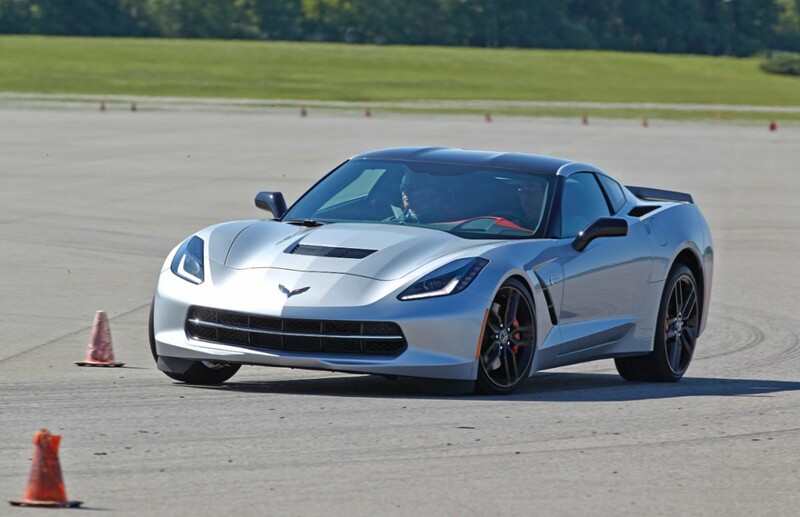 By all accounts the Corvette’s suspension is hugely effective, giving a good ride and stellar performance, whilst maintaining a lower profile than can be achieved with struts. Plus, how many cars do we read about with the supposed holy grail of an independent set up all round, that are still as dull as ditch water to drive? Plenty. Hello John875. Thanks for stopping by. The one memorably unClarkson thing he did was to argue that BMW 3-series were over-rated. I think it was on Top Gear in 1992 when he was still quite normal. Sean: nice detail on the new rear set up for the XC90, by the way. I had missed that. 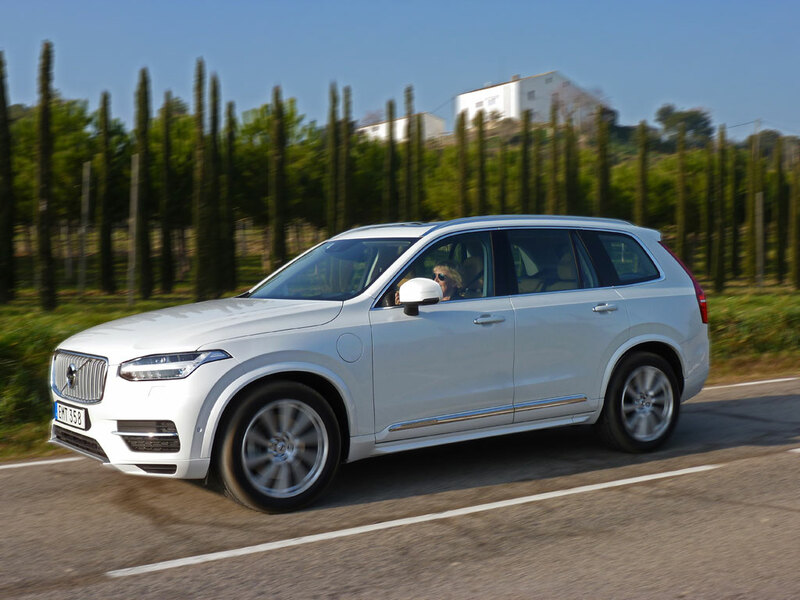 Yes, it’s one of those things that bears out the point of Eoin’s recent post, that Volvo are stealthily becoming more and more impressive – confident to do things their way. As far as I can see, there are no inherently bad suspension principles: it’s a matter of tuning that decides if the design is right. The Cadillac XLR also used leaf springs which I considered a technically interesting solution. Lancia got the best out of the solution, indicating it’s as good as the engineers who fettle it. Blancmange and breadvans – no one living has ever seen them. Similarly no-one knows anything outside the world of cars that’s square-rigged. Brash is a word only used for American cars. No-one knows what brashness looks like but all American cars must be so described. May I refer you to the REAL Passat Mk.1? Robertas: I missed that when I was in Luebeck – I’ll have to go back again. Here’s a vote for the Passat. We spent an enjoyable afternoon pottering around her several years ago; indeed Lubeck and Travemunde are both well worth a visit. Strandkorben on the beach at Travemunde and in Lubeck Thomas Mann’s house, excellent collections of Munch and Caspar David Friedrich paintings and it’s a UNESCO heritage site to boot. Back to cars; the Fiat 128 had a transverse leaf at the rear and it was always hailed as a model of sophisticated engineering. Well I thought so when I bought one. I love suspension design myself, the most entertaining aspect of any vehicle for me. Became so fascinating to me that at age 14, I constructed a completely independent suspension Meccano model in 1962. None of those wimpy crane or windmill models for me! Weighed about 5 pounds, a monstah, McPherson strut front (we owned a Consul and an Anglebox in the colonies, very Brit, and struts were pretty new then). Trailing arm rear. Springs by Hardware Store. Dampers non-existent. Powered by the giant Meccano clockwork motor with the flying-weight centrifugal governor removed, oh yes! A governor-less big spring clockwork motor is a bit scary actually. Left alone, it unwinds in about three seconds and emits a huge shrieking noise from the gears – there’s a bit of stored energy there all right. You keep clear quite naturally as it is all a bit out of control. Thus fun in a giddy sort of way. It could spin the rear wheels easily from a standing start, friction with the surface not being a strong point of tin wheels. Get up to a real gallop. It even had a real rear differential. In those days you could get anything you wanted from the Meccano catalogue – bevel gears, pinions, worms, universal joints, the lot. And then I went to uni to become a mechanical engineer several years later. Hadn’t thought about that red and green and brass thing with the malevolent black crackle finish motor in the middle in decades. For some reason it all came back to me reading the article. Thanks. The lateral locations of the two clamps holding the Corvette’s composite leaf spring, particularly in the rear, have been changed at least twice since 1963 (when it had about ten steel leaves and was basic), to enhance its characteristics with regard to handling. The rear half shafts with no sliding spline elements became the upper wishbone in the first iterations – wheel bearing failures at 30,000 miles was the common result. In addition, whether the spring has been completely clamped to the chassis or allowed to move using the clamp as a pivot is a further tuning aid – before that pivoting clamp, no antiroll function occurred, well how could it? Several years ago, Chevy took out two page ads in magazines like Car and Driver to explain these nuances, with pretty colour pictures. Of course, now I can’t find it looking through back issues … Darn. As you say, it was no doubt in reaction to various uninformed articles about the Corvette still using leaf springs, probably originally started by Clarkson in some TG episode or another as he power slid around and airily decried the Corvette’s cheapness and brashness, wildly popular TV even in the US. He is positively Trumpian in his way of proclaiming “truths” that completely miss the point. And if he could have a quick bash at the Americans at the same time, well so much the better. Haw, haw. This is no cheap and dirty solution to rear suspension. The gearbox is also back there, not fully shown, driven by an enclosed torque tube driveshaft from the front. The transverse leaf used as a surrogate wishbone and spring all-in-one has been used by many cheaper vehicles as you say. The rear suspension of millions of Chevy Lumina and its badge-engineered Olds, Buick and Pontiac cousins made for a decade strike me as the most numerous – it was a fibreglass single leaf on a FWD vehicle. The Corvette seems to be the one case where things have been thoroughly thought through. Well, they’ve been at it over 50 years now. No less should be expected. I share your enthusiasm but not your insight. If some people wonder about art, I wonder about the mysteries (as they are to me) of suspension. 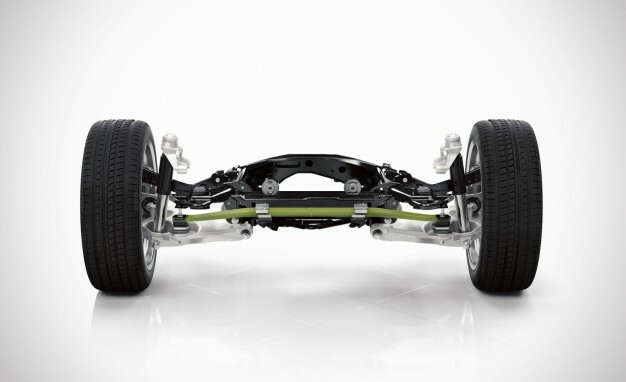 Plainly the transverse leaf spring is capable of a lot, as the Corvette article showed. If you were weaned as I was on scepticism about leaf springs then it’s a revelation to see them applied in that way (I had a similar epiphany about bourbon recently). I liked the memoir about Meccano. There was some of it lying around our home in the 70s but all the bolts were gone. Perhaps if there was more of it about I’d have been an engineer. I didn’t know the Lumina family were so suspended. It goes to show that the suspension solution’s effectiveness depends on tuning more than the principle. Thank you for the comment Bill and the wealth of further detail. The term ‘blue collar supercar’ sounds reasonably patronising, but it usefully highlights the achievement of the Corvette. It’s a car designed to be produced in quantity, that may be cherished and fettled by enthusiasts but also needs to be driveable in relative safety by someone who has always always promised themselves one when they could afford it, but whose previous cars have been soft barges. The nearest we came in the UK to such a vehicle would have been a V6 Capri – and that wasn’t near at all. I’m sure that Clarkson would have a smartearsey thing or three to say about the Corvette, but he’s probably not alone on this side of the Atlantic. Snobbery mixed possibly with jealously – why can’t we get something like this for money like that? I too made a Meccano suspension in the 60s but, unlike yours, I’m ashamed to say that Henry Ford would have approved for its cheap crudeness rather than yours which sounds as though Colin Chapman would have been patting you on the back … oh, hold on you said it weighed 5 pounds, forget that. If I might be permitted a brief digression, I’m intrigued that the Corvette has a split automatic transmission; torque convertor at the engine end, and the geartrain in the transaxle. The Porsche 928 has the whole mechanism in a rather bulbous transaxle, as has the 924. Not sure about the 944/968. There’s no reason why the parts shouldn’t be split – Borg Warner used the same principle for the BMC 1800/2200, likewise GM for the -ado cars. Just checked – Aston Martin also do it ‘all in one’. I think I prefer the Corvette way of doing things. Let’s not forget that from 1995 until its demise, the Volvo 960/S90/V90 featured a composite transverse leaf spring in the rear. More importantly, it should be noted that the old-fashioned multi-element leaf springs have an additional drawback vs. the one-piece items on Volvos and recent Corvettes, regardless of how they’re utilized–stiction between the multiple leaves–I’m sure on a Model T the friction of the leaves sliding against each other was seen as an economical alternative to a damper, but the fact that it sticks-and-slips any time motion is initiated (or changes direction) means that it’s not really effective as a damper by modern standards and only works against the engineers trying to tune the suspension. Joe: that information endears me to the Volvo 900-series enormously. Other transverse leaves worth a look are the front of the 1963 Vauxhall Viva HA (very similar to the later ‘Vette), the front of the 1940s-’60s Panhards (rather like the later Lancia) the rear of all FWD Fiats until the 1990s. The Ballamy axle conversion for old Fords couldn’t work as well as the Lancia/Vette/Fiat etc fronts by the way, as unlike them it was a swing-axle.